D.C. Del. 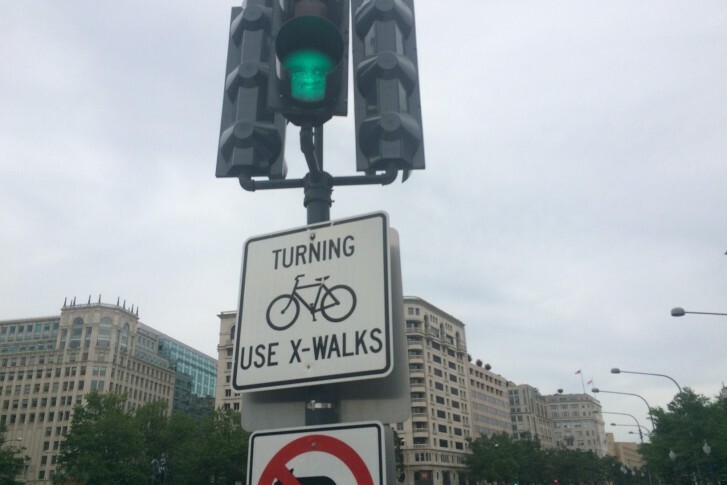 Eleanor Holmes Norton said a few parking spots are holding up a long-planned bicycle lane connecting Union Station to the Capitol. WASHINGTON — While local commuters are urged to find alternatives to cars, a long-planned bicycle lane connecting Union Station to the Capitol is being blocked, said D.C. Del. Eleanor Holmes Norton. “I believe it is being held up by the (Senate) Sergeant at Arms, for the sake of a few congressional parking spaces,” Norton told WTOP. Norton said the project — which would construct a protected bike lane between Union Station and the U.S. Capitol grounds on Louisiana Avenue — has received bipartisan support since 2015. Norton said for the sake of public safety, and relief of traffic congestion on Capitol Hill, she wants U.S. Senate Sergeant at Arms Frank Larkin to drop his opposition to the plan, which has been approved by the Senate Committee on Rules and Administration. The bike lane would be built using local D.C. Department of Transportation funds. Norton said existing bike lanes along Pennsylvania Avenue NW and First Street NE have been successful in minimizing car traffic in Downtown D.C.
“We all ought to be very grateful to those who use the bike lanes, that they’re not crowding our buses or subways.,” said Norton. Calls for comment from the Senate Sergeant at Arms’ office were not immediately returned.